What makes the trainers so special at educom? Competence and expertise? Certainly. But also the ability to motivate, to design the learning process with creativity, and to walk the participants through the challenges of learning a new language. Above all, they impart knowledge that helps to improve everyday working life for practical use. They give the participants as much opportunity to try things themselves and actively participate in training. In short: educom trainers actively involve themselves and the participants in the overall learning process. A training that challenges and motivates is a training that takes you further. Regular train-the-trainer modules, feedback evaluations, coach coaching and consistent quality controls ensure a uniform standard of training. 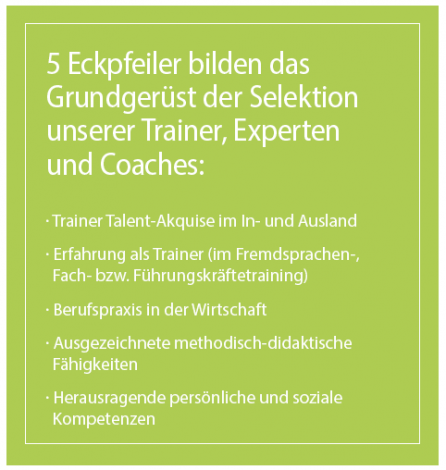 We will gladly send you suitable trainer profiles for your education focus. The basis for our language training is found in the “Common European Framework of Reference for Languages.” This agreement, called CEFR for short, is recognized throughout Europe as an classification for language levels. It makes it possible to assess the knowledge in the individual language skills of (speaking, writing, listening and reading). After successfully completing the final exam of the course, the participant will receive an educom certificate according to the CEF of Reference. If a course is completed without a final exam, the learner receives an educom confirmation of participation. 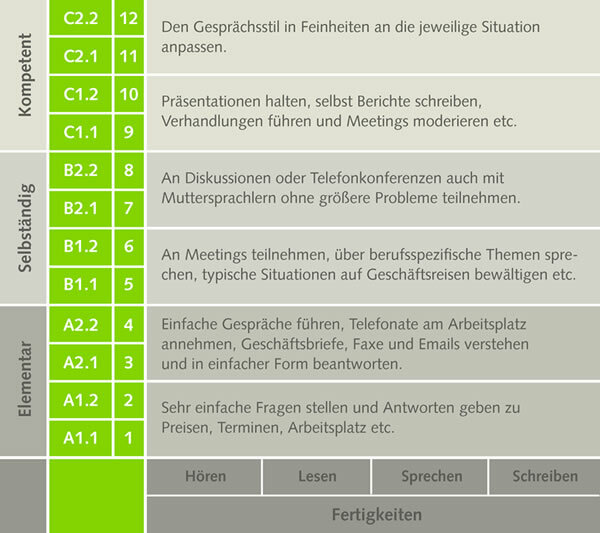 For all language courses, we use up-to-date teaching material for specific occupations. 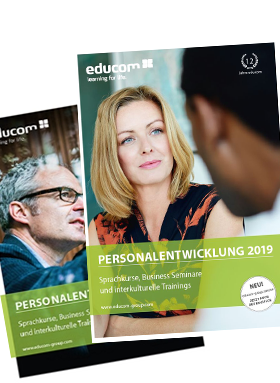 When choosing our teaching material, we cooperate with the internationally renowned publishing house Ernst Klett Sprachen GmbH, which is the market leader in the field of educational and textbook media. The materials in the business seminars and intercultural trainings are specifically tailored to the needs of the day-to-day work of the participants. Learn more here about the strategic partners of educom.